“A few weeks after I came to Holland, I called my husband on the telephone. He asked me to go on Skype. I knew something was wrong,” Sipora recalled. Sipora’s husband of over 40 years, a Jewish building contractor with a heart condition, told her online that Iran’s dreaded secret police were looking for her and other members of her group. “In that moment I knew there is no going back,” Sipora recalled. Wishing all Point of No Return readers a Happy Purim! On Tuesday, the State Department announced that the US will sign a memorandum of understanding that will impose restrictions on importing ancient materials from the country. In the announcement, the State Department said the memorandum continues “similar regulations” imposed in December through an emergency restriction. The agreement, which is set to be signed on Friday, prohibits artifacts dated 1911 and earlier from being brought into the country from Libya. The State Department further said in the announcement that the import limitations are meant to curb illegal trafficking on goods. Jewish activists said the agreement gives the Libyan government ownership of materials taken from the Jewish community. The emergency restrictions from December list many general categories of artifacts, and specifically mention “scroll and manuscript containers for Islamic, Jewish, or Christian manuscripts.” Among objects listed in the memorandum request last year were Jewish ritual objects, including antique Torah scrolls, tombstones and books. 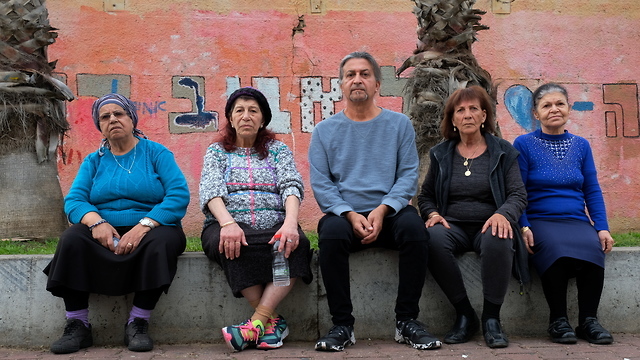 Gina Waldman, a Libyan Jew who is the president and co-founder of the group Jews Indigenous to the Middle East and North Africa, or JIMENA, said in a statement to JTA on Thursday that the agreement legitimized Libyan confiscation of Jewish property. Alyssa was born in Queens but also lived in Woodcliff Lake in Bergen County, NJ, with her family from 2010 to 2014 before moving to Florida, according to NJ.com. Alyssa, a freshman honors student and soccer player at Parkland’s Marjory Stoneman Douglas High School who volunteered at a homeless shelter, had her life cut short Wednesday during the senseless shooting rampage by a maniacal expelled former student. The young girl’s father, Dr. Ilan Alhadeff, also spoke during the Jewish service, which was so packed that roughly 100 mourners spilled out onto the sidewalk outside the funeral home. He described his daughter as “such an amazing person” as he vowed to fight to help prevent more deaths by gun violence. What is happening to the Jews of France, increasingly targeted by antisemitic attacks, is 'ethnic cleansing', writes Guy Milliere for the Gatestone Institute. It is of great concern to this blog, since most Jews in France originated in French North Africa, yet is minimised, lied about or ignored. "What is happening is an ethnic cleansing that dare not speak its name. In few decades, there will be no Jews in France," according to Richard Abitbol, ​​president of the Confederation of French Jews and Friends of Israel. Recently he said that he had done his best, that he could not have done more. 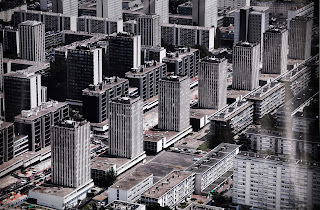 "The problem," he said, "is that anti-Semitism today in France comes less from the far right than from individuals of the Muslim faith or culture". 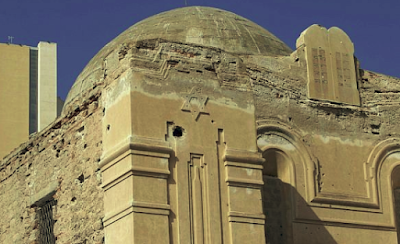 Since the Arab Spring, Iraqis have been rediscovering their lost Jewish community. Here is a fascinating interview in Al-Alam newspaper with Mazin Latif, an Iraqi writer who is somewhat obsessed with Jews. But what is more remarkable, perhaps, is that the interviewer is the Israeli researcher Ronen Zaidel. (With thanks: Linda) Imperfect translation by Google Translate. The Iraqi publisher and writer, Mazen Latif, is active in documenting the lives of the oppressed, oppressed and oppressed Iraqi minorities and sects. While Iraq was in the early 20th century a country full of diversity, it is at the dawn of the new century free of the diversity on which its civilization, culture and history were based. Therefore, there is a pleasant attempt to restore the good spirit that has inhabited Iraq for centuries and since its first civilizations, and continued its citizenship until it was brutally uprooted from its motherland and abandoned for political reasons related to racial understanding and chauvinism against good Iraqi citizens like Jews. 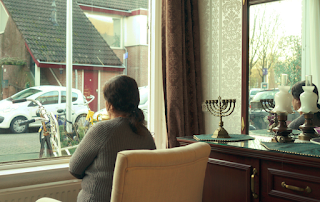 A gentle effort is focused on documenting the tremendous services provided by Iraqi Jews to their countries, documenting the lives of their media and intellectuals, as well as the tragedies they have experienced. In addition, he is active in introducing the other authentic Iraqi sects, which also faced no less horrendous persecution. He published and wrote more than 14 books about Jewish citizens and their national role, as well as the rest of the other groups facing deportation and expulsion from Iraq. Why is your interest in the subject of the Jews of Iraq so paramount? I always ask this question. 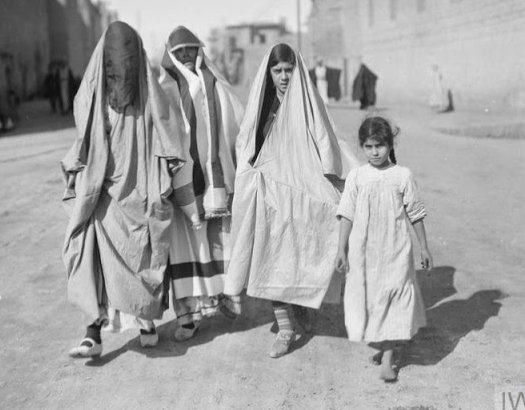 What raised my interest in the subject of the Jews of Iraq is that my grandmother (my mother's mother) told me stories, and I was a child aged seven. She talked about their importance and role and how they were peaceful and honest. I kept these tales in my memory. When I reached an early stage of consciousness, I began looking for books and sources on the history of the Jews of Iraq. I look for any information even oral history, as I search and write. I promised to write and publish about the Jews of Iraq after the subject was banned for more than half a century. How do you explain the growing interest in Jews? What is its relation to the current situation in Iraq? Who is interested? 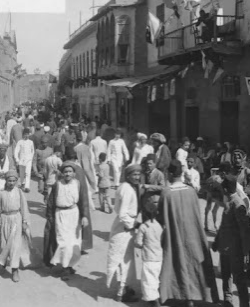 Iraqis still have many memories of Iraq's Jews, whose existence has ebbed, and they studied many of their physical features, posing a historic responsibility for the need to record their oral heritage. If the oral histories defined by historians include a set of traditions of legends, facts, knowledge, doctrines, opinions, customs and practices, when we write the history of an ethnic or religious group, we mean the history of all Iraq because the communities of Iraq and its people are bound by history, geography and a common life. What is the position of the Iraqi street on this issue? Have you changed? Is there a nostalgia for the Jews? The position of the Iraqi street fluctuates, in a sense it is sympathetic to the Jews of Iraq and knows their achievements and their role in building Iraq in that period, but at the same time it accuses as Zionists those who defend them and write about them. It is a paradox that reflects the dual personality of the Iraqi man. Are there difficulties in writing about Jews? There are those who accuse anyone who cares about writing about the Jews of Iraq to be a Zionist and other typical charges. 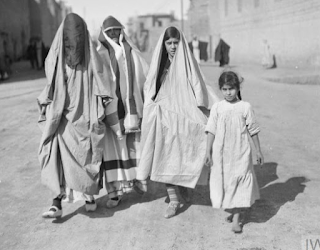 I was initially subjected to a lot of harassment, when I wrote about the Jews of Iraq. The reason is we were raised the culture of the Baath party: Anyone who deals with a subject about the Jews is considered a Zionist or an Israeli, but the situation now in Iraq is that there is a lot of freedom and democracy that allow one to address this issue. When I write about the Jews of Iraq, I write about an Iraqi community that has an important role in the history of modern Iraq. Frankly, the issue of the Jews of Iraq has some difficulties, because the Iraqi consciousness is still suffering from some backwardness, because the majority view the subject of the Jews of Iraq from a racist point of view, express any issue as Israeli or Zionist, and tie it to the subject of Palestine. Frankly I encountered and still find many difficulties, because of my obsession with the subject. Many try to distort my reputation, and accuse me of being a Zionist, working for Mossad, Israeli and other typical charges. How do you see the status of Jews in Iraq before deportation? 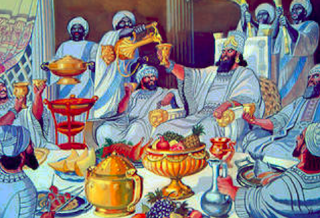 The Jews of Iraq produced culture, journalism, art and economy, which is the highest in the history of Iraq centuries ago. The status of the Jews of Iraq was very important in building the Iraqi state, many excelled economically, in newspapers, in the media and in other fields. 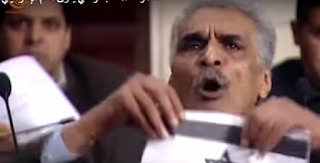 And how we regret the rising generations of ignorance of their contributions and integration within the Iraqi state. The public discourse on Iraqi culture continues to be rife with them: Iraqis have been enraged by a nationalistic past, sectarian and arrogant sectarianism, preoccupied with the erosion of Iraq's cultural and self-identity, and the marginalization of the other ancient minorities that once formed Iraq's genius. How do you explain the exodus? The displacement of the Jews of Iraq left the curse and sorrow in the hearts of those close to them and who loved them sincerely. Iraq has been an oppressor to Iraqi elements and minorities. 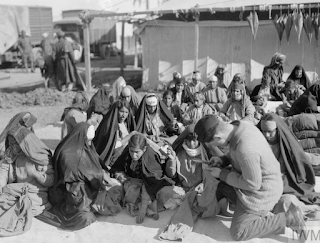 The Jews of Iraq have been forcibly displaced, the Kurds have been abandoned, the Christians have been abandoned, the Sunnis have been abandoned, the Shiites have been abandoned, and so have I: the displacement of the Jews of Iraq was a crime against Iraqi citizens who served Iraq with all their possessions. 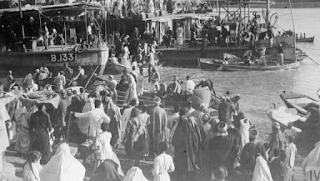 At the same time, the Iraqi government provided for the displacement of the Jews of Iraq and did the best favour to Israel, after they expelled people with high-level skills that were running the country. The displacement of the Jews of Iraq at the time created a gap in the economics of the country, as they were in control of the economy of Iraq, and many Iraqis so far are waiting for the Jews of Iraq, and considerthem real Iraqis, Iraq list a lot. The truth is that these people were planted in the Iraqi land more than 2,600 years ago. They were not occupiers, but they were exiled Sephardim. They loved Babylon and the two rivers and saved them, and they witnessed the crucifixion of Iraq while occupiers or oppressors had free rein. The decision to strip Iraqi nationality from the Jews of Iraq during the period of the Tawfiq al-Suwaidi government in 1950 and the freezing of their funds and arbitrary arrest on numerous trumped-up charges, including Zionism and communism, and then expelling them from their ancient Mesopotamia, came in the context of a well-known global conspiracy. From then on, Iraq began to bleed. Well I never. The late reggae legend Bob Marley had Jewish roots. The World Jewish Congress tells us so, so it must be true. 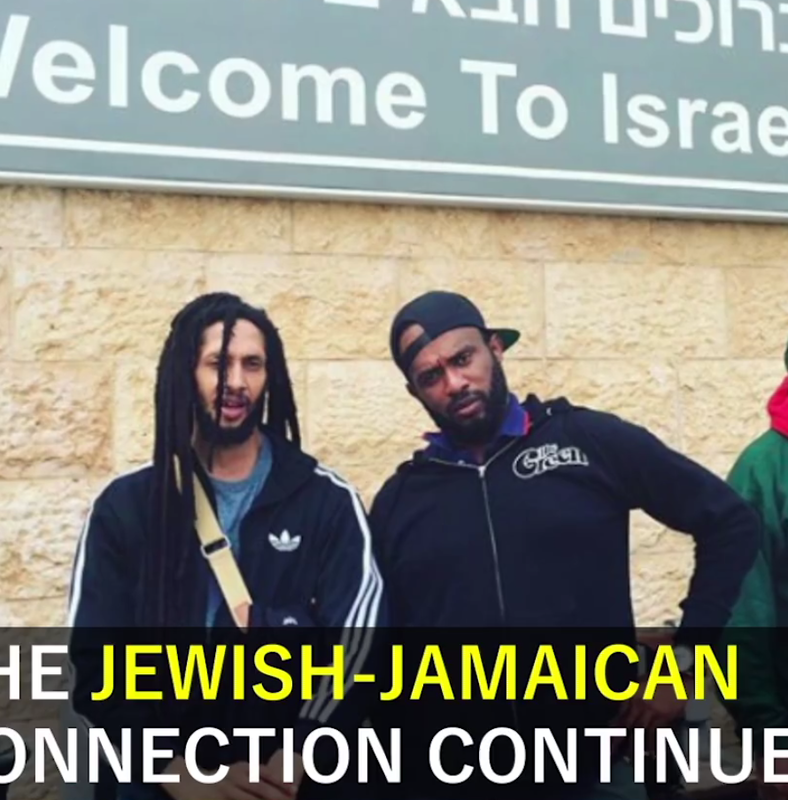 In fact the WJC has gone to the lengths of making a video giving special mention to Bob Marley in a potted history of Jewish Jamaica, the Caribbean island where Marley was born. According to the video, Bob Marley's father was a Jamaican called Norval. But Norval's mother was Ellen Broomfield, a (white) Syrian Jew. Quite what a Syrian Jew was doing in Jamaica, the WJC does not tell us. "There is unsubstantiated information circulating that Ellen was a Syrian Jew, but the name is not Syrian or Jewish and is an old Jamaican/English name. A "wedding certificate for the marriage of Robert Marley [Bob's paternal grandfather] and Ellen Bloomfield [his paternal grandmother] lists him as 'white' and her as 'colored'." Sorry to disappoint you, folks. 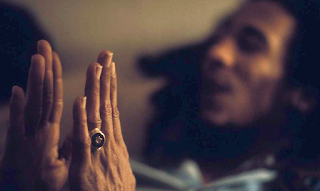 The balance of probability is that Marley's grandmother was not Jewish. But take crumbs of comfort in the fact that Marley seems to have been a philosemite. And his own son Julian (below left) has visited Israel. Born on October 13, 1914 in Algeria, Sidney Chouraqui faced anti-semitism very early on and throughout his life. He became a lawyer in Casablanca and joined the army in 1939. "Refusing to surrender, in 1940 (when France fell to the Germans) he created a group of Jewish resistance fighters in Morocco. Under the Vichy laws, he was struck off the bar. Volunteering on theTunisian front, he escaped from the Bedeau camp for Jews and joined General Leclerc in Libya and the Free French of General de Gaulle. Sidney Chouraqui took part in the fighting in France, battles in Normandy, the liberation of Paris and Strasbourg, but also Landsberg and Dachau camps. He finally reached Hitler's 'Eagle's Nest' in Berchtesgaden on May 8, 1945. For his wartime feats, Sidney Chouraqui earned many medals and the Legion d'Honneur. He risked his life "both through patriotism, for the liberation of France, and through humanism, for the defence of human rights odiously trampled, for the ideals of 1789 of Freedom-Equality- Fraternity withdrawn by Vichy, as well as for dignity and justice." After the war, he resumed his job as a lawyer in Casablanca. 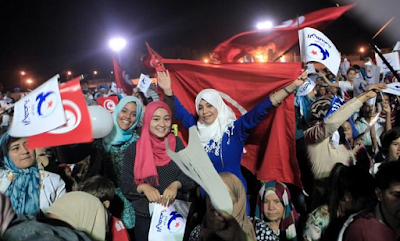 He trained Moroccan lawyers, many of whom became ministers. Resettling in France in 1966, he joined the Aix-en-Provence bar. 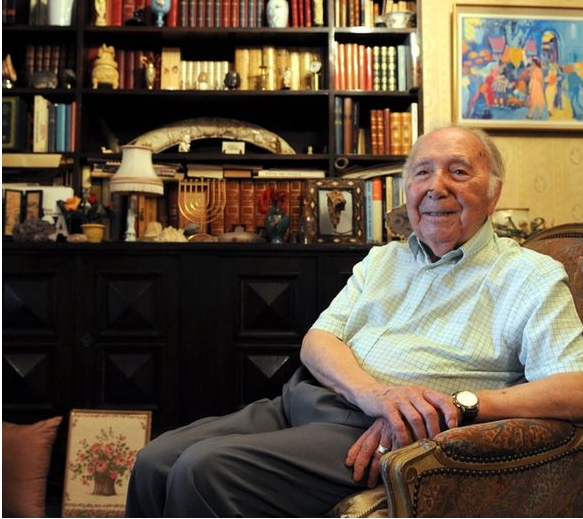 He was one of the founders of LICRA (International League against Racism and Antisemitism) and the Jewish Cultural Center, a leader of the Judeo-Christian Friendship and Interfaith Coordination Committee for Israel, which was threatened with extinction in 1967. 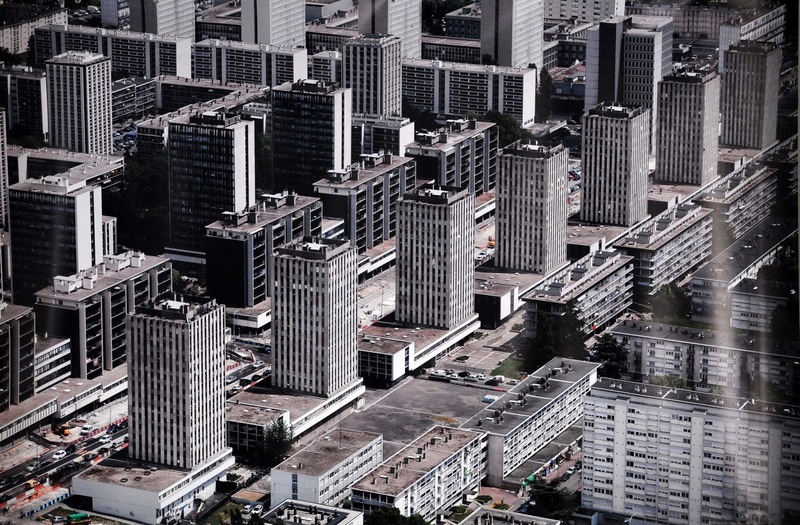 From 1982, he was one of the main initiators of the Memorial project of the Camp des Milles. The Iraqi-Jewish community in the US has launched an urgent appeal for financial support in the wake of the US government's decision to return the Iraqi-Jewish archive to Iraq in September 2018. 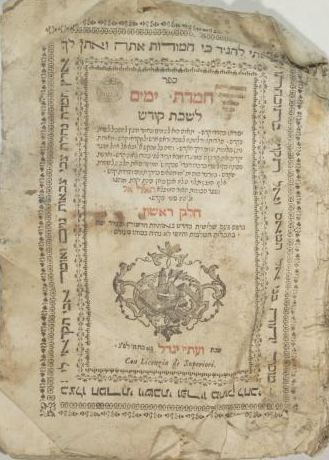 Page from an eighteenth-century collection of sermons, customs and rituals for Jewish fast days, probably printed in Venice. It was one of 2,700 Jewish items found in the police headquarters in Baghdad. The collection of books, documents and manuscripts was saved from the waterlogged basement of the secret police headquarters in Baghdad in 2003 and shipped to the US for restoration. A memorandum was signed by the Coalition Provisional Administration in Iraq promising to return the archive. But the US government failed to consider that the archive itself constitutes the property of the Jewish community and was stolen by the Iraqi regime. This community now resides outside Iraq. If the archive returns to Iraq, it will become inaccessible to them. There are also fears that the archive will not be preserved, and might even be deliberately destroyed, if it returns to Iraq. Jews in the US have been pursuing a two-pronged strategy. The World Organization of Jews from Iraq (WOJI), has pursued the diplomatic route. To-date WOJI has negotiated the cooperation of the Iraqi government and the State Department in extensions and delays to the return of the archives. The archive has been travelling around the US over the last three years. It is presently on display in Atlanta, Georgia and an exhibition in Dallas, Texas will end on 3 September. JIMENA (Jews Indigenous to the Middle East and North Africa) has an activist approach. Inspired by the experience of Holocaust survivors to recover stolen Nazi art, JIMENA has been raising public awareness of the issue and is working with a group of lawyers and strategists to pursue legal avenues. A committee representing the American Aid Society, Congregation Bene Naharayim in Great Neck and the Babylonian Jewish Center will disburse the funds to WOJI and JIMENA as the need arises. "We have reached a critical time limit. We need to act before it is too late, otherwise these precious books, manuscripts and milestone family records of our ancestors will be lost forever," says Alice Aboody of the Babylonian Jewish Center. An 'Archive' account has been established at the BJC (Babylonian Jewish Center), 440 Great Neck Road, Great Neck, NY 11021, where all donated tax-deductible checks with the memo "Archives" will be deposited. Tel (516) 773-9876. Harif's petition 'Don't let the Jewish archive go back to Iraq' has attracted over 10,000 signatures. Click here to add your signature. "On 15 May 1949, about 20 percent of the pupils came to (the Shamash) school. The rest remained at home to celebrate Israel's Independence Day. Fearing that the government superintendent would choose specifically this day to visit, I put the pupils in three classes and half an hour later the superintendent appeared. I brought him into my office and asked the secretary to ensure that the pupils would make a lot of noise outside, to create the impression that all the pupils were in recess in the yard. "After a while, the superintendent asked to visit the classrooms. I accompanied him on his visit to the three classrooms, then brought him back to my room and hinted to the secretary to put the children, in different combinations, in three other classrooms, with different teachers. "The superintendent visited these three classes, and thought he had visited six classes. When he saw that all the classes were studying, he left, satisfied. The afternoon newspapers published articles with large headlines that the Jewish secondary school pupils had celebrated Israel's Independence Day that day by demonstratively being absent from their studies. The next day the Education Ministry published a denial, stating that the superintendent had visited the Shamash school the preceding day, and he had found that all the pupils were present in the school." From 'Traditional and modern education' by Yosef Meir in Annals of Iraqi Jewry, ed Ora Melamed, Eliner Library, 1995.